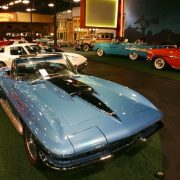 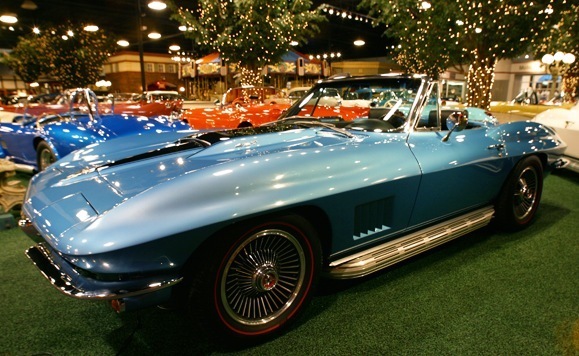 The second generation, or mid-year, was designed by Larry Shinoda with major inspiration from a previous unproduced design called the “Q Corvette” by Peter Brock and Chuck Pohlmann, and under the styling direction of Bill Mitchell, started in 1963 and ended in 1967. 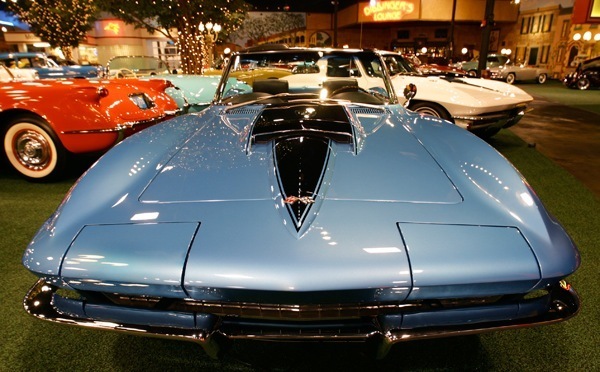 1963 would see the introduction of the new Corvette Sting Ray coupe with its distinctive split rear window and hood vents as well as an independent rear suspension. 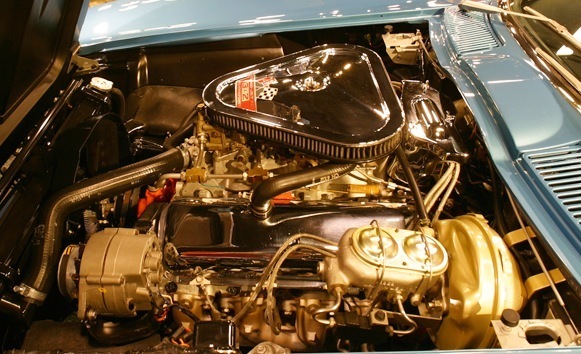 Power for 1963 was at 360 hp (268 kW) hitting 375 hp (280 kW) in 1964. 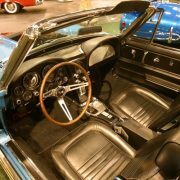 Four-wheel disc brakes were introduced in 1965, as was a “big block” engine option (the 396 in (6.5 L) V8). 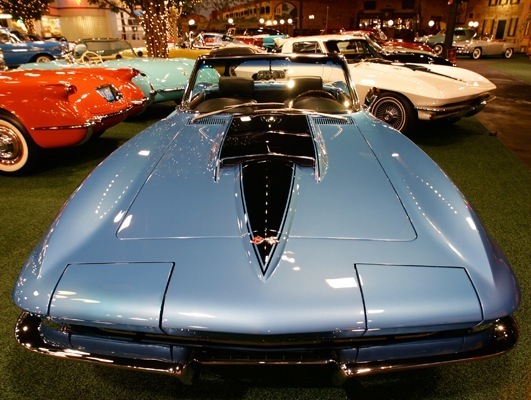 Side exhaust pipes appeared on the 1965 Sting Ray and persisted through 1969. 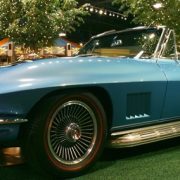 Chevrolet would up the ante in 1966 with the introduction of an even larger 427 in (7 L) version. 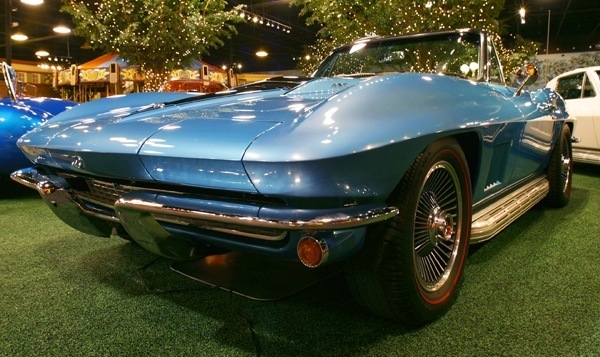 1967 saw a L88 version of the 427 introduced which was rated at 430 hp (321 kW). 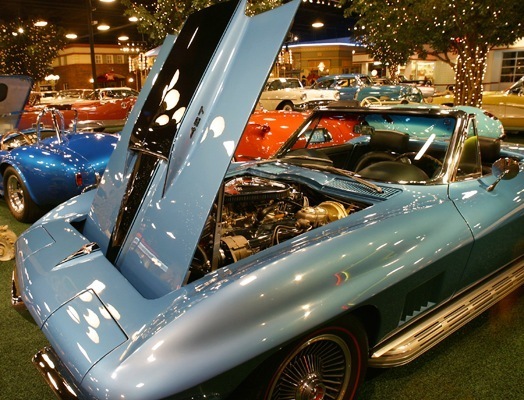 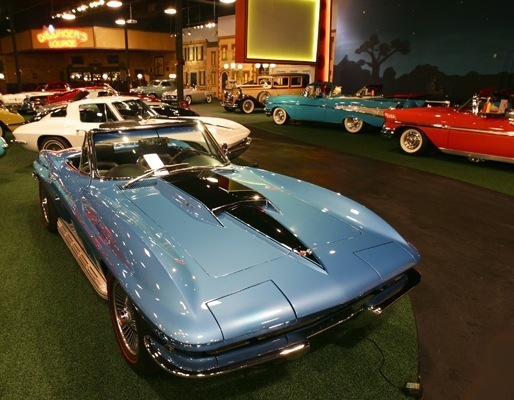 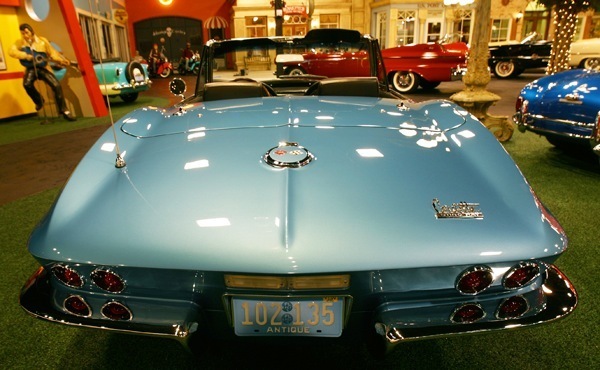 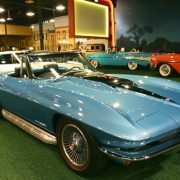 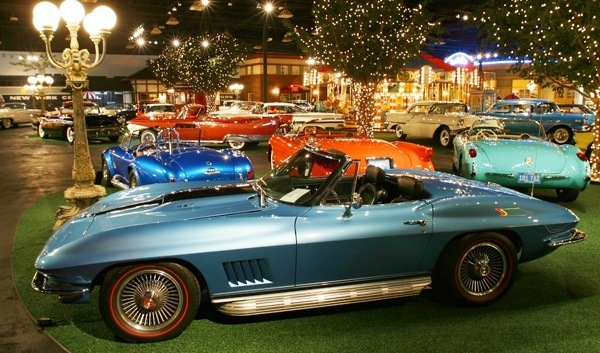 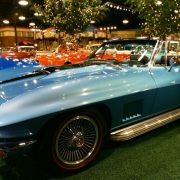 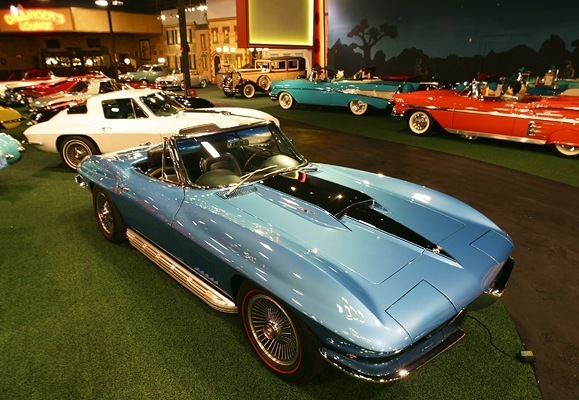 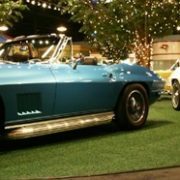 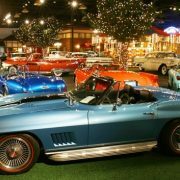 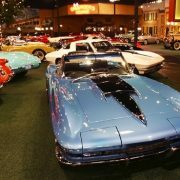 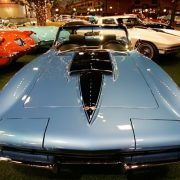 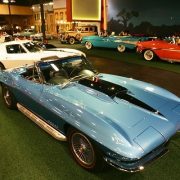 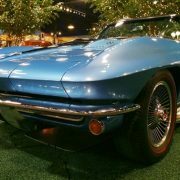 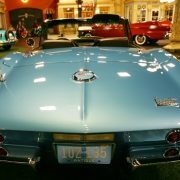 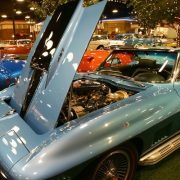 Only twenty such engines were placed in the 1967 Corvette. 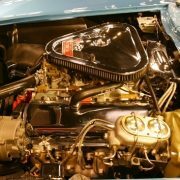 From 1967 to 1969, the 1282 ft/min Holley triple two-barrel carburetor, or Tri-Power, was available on the 427. 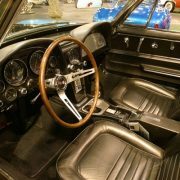 Other early options available on the C2 included an AM-FM radio (mid 1963), air conditioning (1963), a telescopic steering wheel (1965) and headrests (1966). 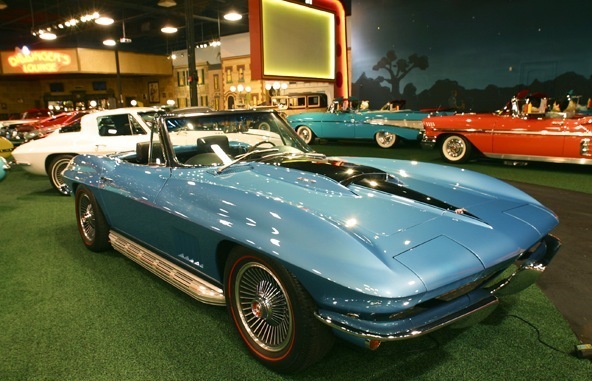 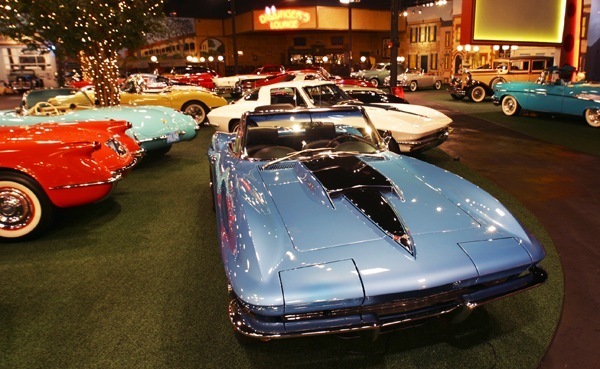 In 2004, Sports Car International named the Sting Ray number five on the list of Top Sports Cars of the 1960s. 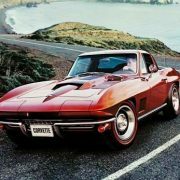 The design of this generation had several inspirations. 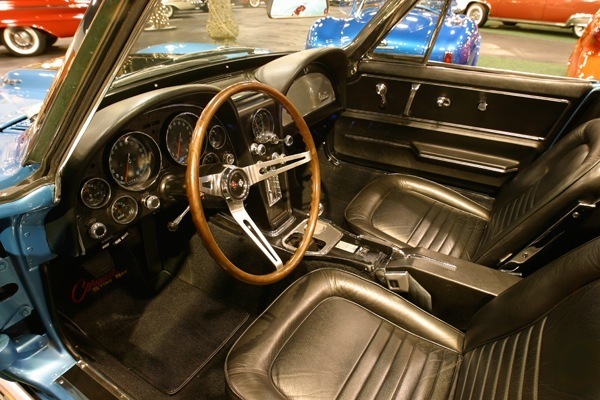 The first was the contemporary Jaguar E-Type, one of which Mitchell owned and enjoyed driving frequently. 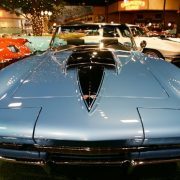 Bill Mitchell also sponsored a car known as the “Mitchell Sting Ray” in 1959, because Chevrolet no longer participated in factory racing. 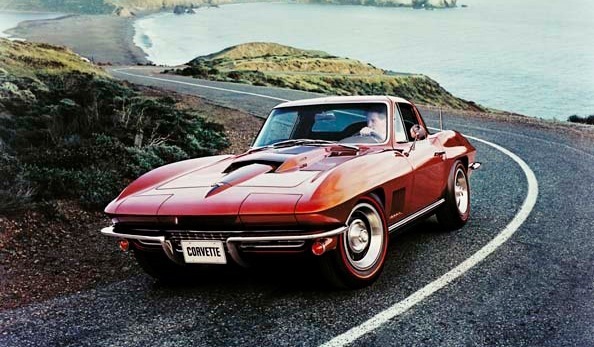 This vehicle had the largest impact on the styling of this generation. 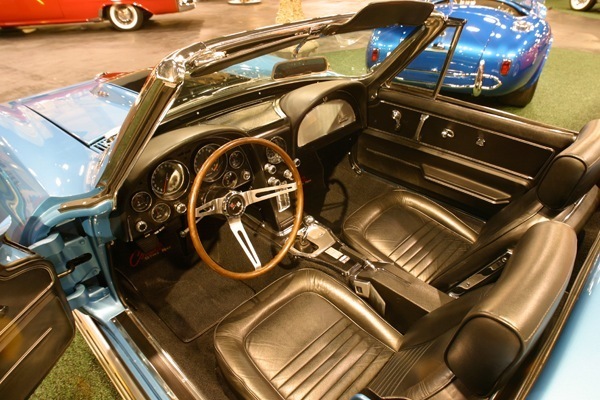 The third inspiration was a mako shark that Mitchell had caught while deep-sea fishing.